Color/Consistency A thin, reddish brown liquid. 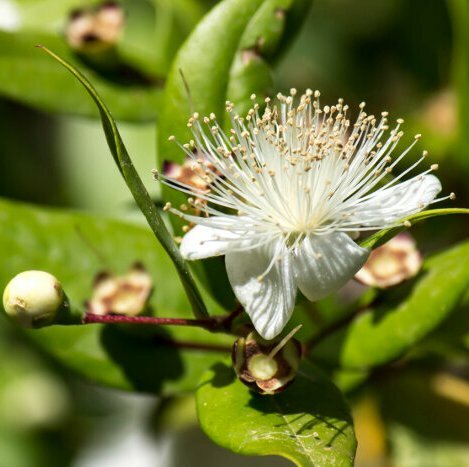 Aromatic Summary / Note / Strength of Aroma A middle note with a medium aroma, Myrtle Essential Oil has a clear, fresh scent that is mildly camphoraceous, similar to that of Eucalyptus. Blends With Benzoin, Bergamot, Elemi, Eucalyptus, Black Pepper, Cedar Wood, Frankincense, Myrrh, Neroli, Rose, Ho Wood, Hyssop, Jasmine, Lavender, Lemon, Lemongrass, Clary Sage,Coriander, Melissa, Rosewood, and Ylang-Ylang. 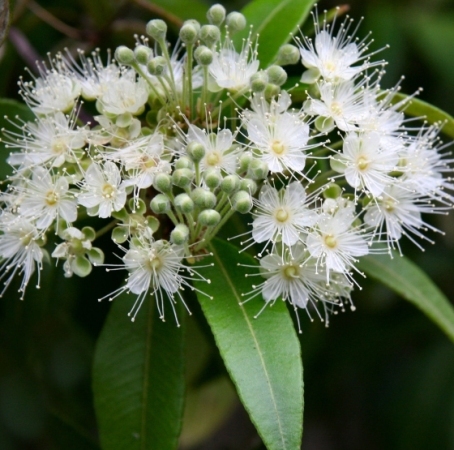 Myrtle plant has been used ancient Greece for his medicinal propose. 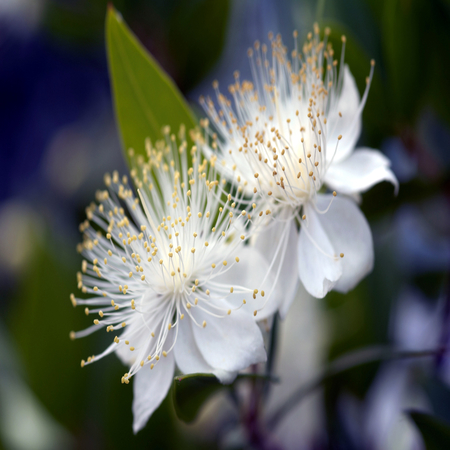 Greeks also prefer myrtle because it’s a symbol of love, purity, and generosity. Myrtle is an evergreen shrub that obtains for franc. 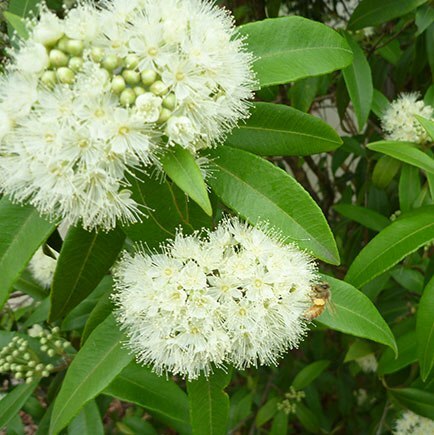 Dark green leaves, purple-black coloured berries, and fragrant white flowers are all sources of myrtle Essential oil. Kush Aroma Myrtle essential oil made from fresh flower by stem distillation. Myrtle known its perfumery sweet fresh scent. It has anti-bacterial properties; its mild nature makes it suitable for use on children and the elderly who have respiratory issues. This aromatic evergreen shrub originates from Africa, and grows all around the Mediterranean. It was introduced to Britain in 1597, but generally only flourishes in the south, or under glass (it can also be grown as a pot plant). 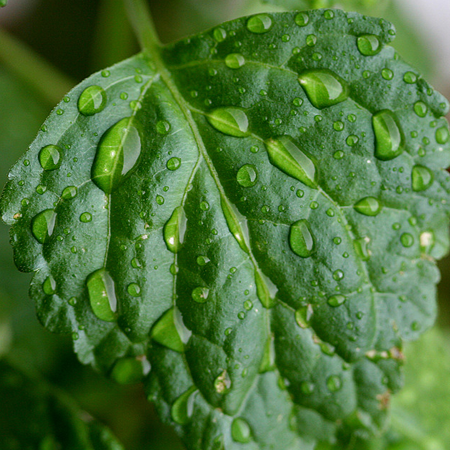 It has small, shiny, dark green leaves which contain vesicles full of essential oil. 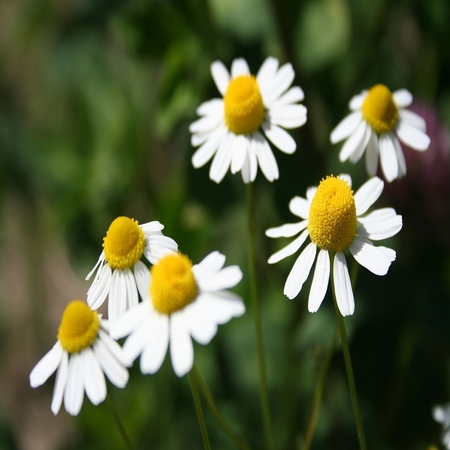 The flowers are fragrant and white, five-petalled with a spectacular spray of thin stamens. These are followed by purple-black berries. 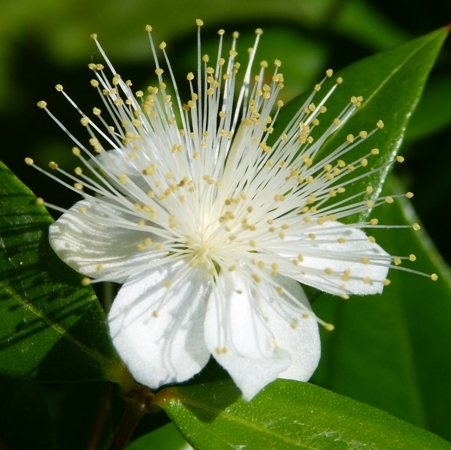 Myrtus communis is obtained by the steam distillation of the myrtle plant’s flowers, leaves, and stem, which is called Myrtus Communis in the botanical world. 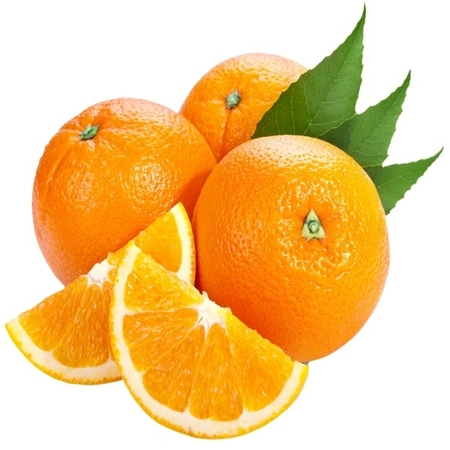 Its main constituents are Cineol, Myrtenol, Pinene, Myrtenyl Acetate, Geraniol, Linalool, Camphene, and Borneol. There is no inherent risk in using myrtle essential oil, but as always, pay attention to your body’s reaction to any new substance or supplement, and consult a doctor if anything unusual occurs. 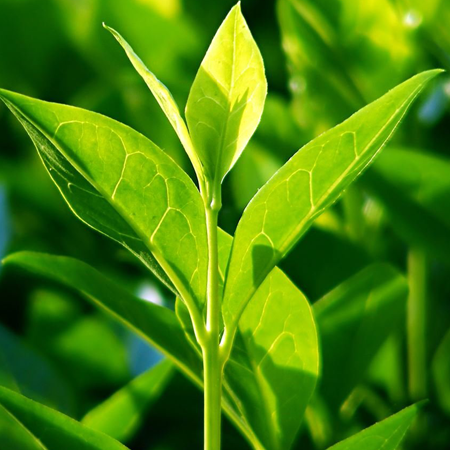 Carcinogenic/anticarcinogenic potential A bog myrtle oil hydrodistilled in Canada and containing 12.1–23.2% myrcene, 6.8–11.2% (þ)-limonene, 9.3–11.0% b-caryophyllene and 6.5–9.9% a-phellandrene demonstrated anticarcinogenic activity against human lung carcinoma and human colon adenocarcinoma cell lines. The differences in constituent percentage were due to two distillation times both being used. The 60 minute fraction had a greater activity, possibly due to a higher sesquiterpene content. b-Caryophyllene, a-caryophyllene and (þ)-limonene display anticarcinogenic activity. a-Cadinol is active against human colon cancer cells, and germacrone is active against human breast cancer cells. 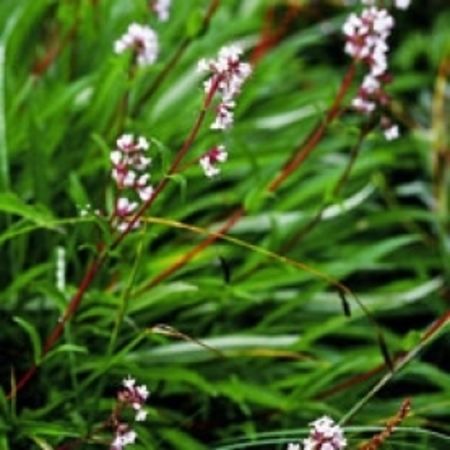 The plant, which has a reputation for repelling small flying insects, grows in many parts of the world, but the oil is only distilled in Canada. Limited availability.